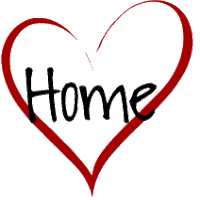 Welcome to our Do you love your home quiz! Today we’re going to find out if you really do love your home. Below are 9 simple questions about your thoughts of your home, remodeling plans, etc. Once you’ve completed the quiz and submit your answers they’ll automatically be tallied and you’ll immediately see your results. Things change over time and life is no exception, people get into new careers, relationships and lifestyle changes. Of course people also move into different homes, some they love and some well… not so much. Take the Do you love your home quiz and see how solid your home relationship really is! Painting? Seriously, I don't have time for that! Paper plates are easy for cleanup so yea, lets go with that! Hold on, let me clean it real fast and then I'll answer this. Extra bedroom? Don't you mean storage? It's clean and I am ready for guests anytime!